American Factfinder provides access to data about the United States, Puerto Rico, and the Island Areas. 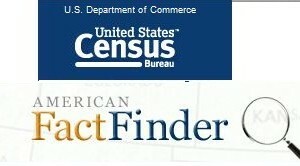 The data in American Factfinder comes from several censuses and surveys. WMSRDC disseminates census and other planning related information to local government officials, businesses, etc. WMSRDC is a local affiliate of the Michigan Information Center, part of the larger U.S. Census Bureau’s nationwide State Data Center Program.